PT Brantas Energi - PTBE or known as "Brantas Energi" is a rapid growing investment company in Indonesia with core business competencies in energy sector. Bratas Energi has strong business focus on hydroelectric generator plant with investing in the construction of hydroelectric generator plant. PT Brantas Energi is a directly-owned subsidiary company of state-owned construction firm PT Brantas Abipraya (Persero). According to PT Brantas Abipraya (Persero) Annual Report 2016 as cited by JobsCDC.om, PT Brantas Abipraya (Persero) is the majority shareholder in Indosat with a 99 .28 percent stake. 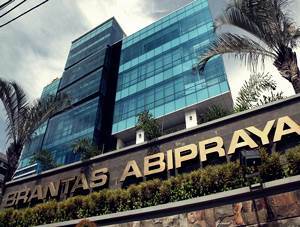 Other remaining stake in Brantas Energi was owned by Employee Cooperative of Brantas Abipraya. PT Brantas Energi was established on 12 December 2011. Brantas Energi is based in Jakarta and its head offices is registered at Jl DI Panjaitan Kav 14, Cawang Jakarta Timur 13340. Brantas Energi now has 15 subsidiary companies. Male, not older than 30 years of age. Background in Undergraduate Degree (S1) from reputable University, majoring in Accounting or Finance with minimum GPA Score: 3.00 (4.00). Required experience for minimum 2 years in similar position as Accounting Officer, Preferably from Big five (5) Audit Firm worldwide. JobsCDC.com now available on android device. Download now on Google Play here. Please be aware of recruitment fraud. The entire stage of this selection process is free of charge. PT Brantas Energi - Accounting Officer Brantas Abipraya Group January 2018 will never ask for fees or upfront payments for any purposes during the recruitment process such as transportation and accommodation.